"In the eyes, out the hands"
Even on vacation, we visit courts. Mexico City is home to some of the most impressive ones we've ever seen. When preparing documents for review by a court, which implies that one side will submit the document and the opposing side will attack it, we work hard at keeping the form and meaning of the original text clear. Similarly to interpreting, our role is to convey the full meaning of the source document, transparently. A patent may be minutely different in German from its English version; a contract may stipulate terms in Hebrew that are not legally binding in the U.S. state where it is being enforced; the different forms of law all try to decide facts, but do so in very different ways. When necessary, we have testified to the accuracy of our translation. We're always glad to certify the translations we provide. 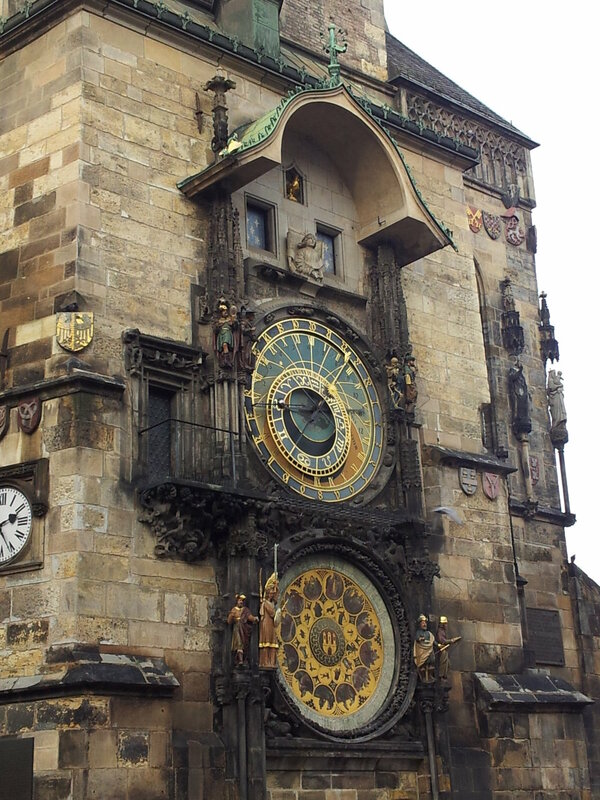 The Prague Astronomical Clock has been going for more than 600 years. Whether you're developing an engine or seeking expert opinion, if you transcend the boundaries of language you'll want someone to convey your meaning as fully and accurately as possible. Nuance matters! We've been digging deep into the terminologies of medicine, pharmaceuticals, software, and hardware, and cultivating a solid cadre of subject-matter experts in the various fields we work in, to consult about terminology when needed. Daniel and Dena each started their career in the literary and poetic fields. A full bibliography of our published translations spans the fields of music, art, poetry, and narrative fiction. When a company is buying or selling across a language barrier, the translator's job is to make sure their products are represented as clearly in the target as they were in the source language. Whether we're helping a company sell scents or tours, cakes or software, our job as translators is to become part of the sales team. We are often asked to provide ad copy or consult about the appropriateness of a term or approach. Localization is very much simplified when you use the right CAT* tool. We use state of the art tools to ensure that our Hebrew text is clear and usable, cutting down on helpdesk costs. We've been localizing since back in the days when anti-virus software was new, and have helped with word processors, stand-alone programs, and lately apps and games.